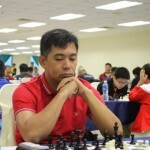 Filipino International Master (IM) elect Edgar Reggie Olay bagged the gold medal in the National Blitz Chess Championships 2018 Open Division held at the Bukit Merah Community Club in Jalan Bukit Merah, Singapore on Saturday, August 11, 2018 here. 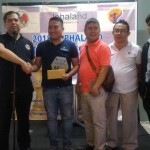 National Master (NM) lawyer Bob Jones Liwagon said he is set for his title defence when the 7th leg of Alphaland National Executive Chess Championships gets underway on July 28, 2018 at the Meralco Fitness Center in Ortigas Avenue, Pasig City. Arena Grandmaster (AGM) and Fide Master (FM) elect Roberto Ramos Suelo Jr. will defend his title when the July edition of the Asean Chess Academy (ACA) Rapid Open Chess Championships gets underway on Sunday, July 8, 2018, here at the Bukit Timah Shopping Centre.